Great locatation for your professional office NOW available. Located on International Pkwy next to Starbucks this 1,700 sqft space is a blank canvas! This desired location has plenty of parking and easy access to I-4. Owner is willing to participate in the buildout with an approved tenant and lease terms. Call today to view! LOCATION, LOCATION, LAKE MARY EXECUTIVE OFFICES AVAILABLE, MULTIPLE SINGLE EXECUTIVE WINDOW OFFICES, 1 DOUBLE EXECUTIVE WINDOW OFFICE, AND 1 EXECUTIVE SUITE CONTAINING 4 OFFICES WITH WAITING AREA. ALL WITH KEY CARD ENTRY, MEETING/BOARDROOM ACCESS, ELEVATOR, AMPLE SHADED PARKING WITH FABULOUS LAKE MARY BUSINESS ADDRESS. LOCATION LOCATION LAKE MARY OFFICES AVAILABLE, MULTIPLE SINGLE EXECUTIVE WINDOW OFFICES, 1 DOUBLE EXECUTIVE OFFICE, AND 1 EXECUTIVE SUITE CONTAINING 4 OFFICES WITH WAITING AREA. ALL WITH KEY CARD ENTRY, MEETING/BOARDROOM ACCESS, ELEVATOR, AMPLE SHADED PARKING WITH FABULOUS LAKE MARY BUSINESS ADDRESS. Professional office in Lake Mary available this month. Great location at the I-4 and Lake Mary Blvd corridor. This corner office is located on the first floor offering 4 offices, conference room, lobby/reception area, break room, storage room and 2 bathrooms. 2nd floor, corner suite, Gorgeous space. A lot of windows, reception area, large conference room, large planning room that can be used as an additional office, law library or pen etc. Copy/Fax room. Openwork area 4 offices. One of which is an oversized executive office. 2 restrooms, kitchen/breakroom. Must See! Prime Lake Mary commercial condo opportunity in Regency Pointe with incredible exposure by way of Lake Mary Blvd frontage with on-building signage on the North and West walls! Year-end 2017 Traffic Counts for this area were approximately 43,000 making for a great deal of visibility. The current use of this unit is as Medical Office and is absolutely turnkey. With dedicated Exam Rooms, a Generous Reception area, Waiting Area immediately off the entrance, private offices, there is still available space to create more exam rooms, offices, etc. Because this is an end unit, there are also two points of public access which could help should you desire to run multiple businesses or as an investor invite multiple tenancy opportunities. An amazing opportunity for an End User or Investor as the Permitted Uses within the C-1 Zoning designation allow for a multitude of uses. East Lake Mary is undergoing a wonderful revitalization with many new buildings and housing communities, spearheaded by Griffin Park, a new home community. This is coupled with Griffin Farms, the commercial mixed-use component featuring retail, office, and restaurants! 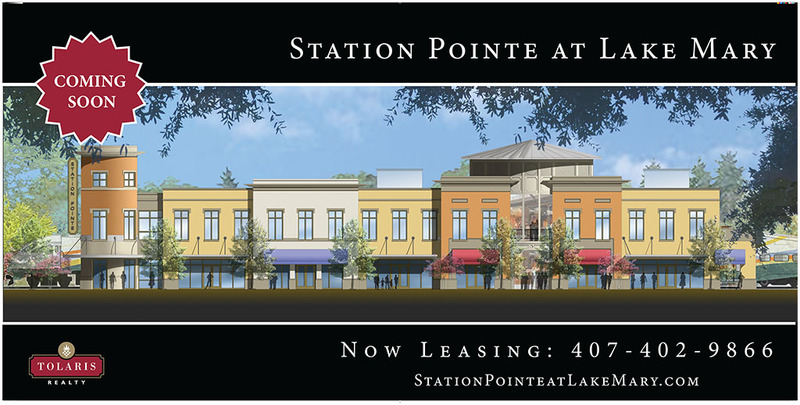 Between here and downtown Lake Mary, the east side of town has again become a destination location and Regency Pointe was one that helped to create this trend! Schedule an appointment to see this turnkey opportunity, and please be reminded that showings can only occur on certain days of the week due to ongoing business commitments. Executive Office Building. First floor Doctor's office. 5 Examination rooms, lab, 2 waiting areas, break room and a big reception area. CAM - $644 per month. Commercial Space in great location just South of Lake Mary Blvd. Real estate for sale. Currently used as a dry cleaner business being sold separately and dry cleaning plant also available for sale separately. Great location! Newer building on busy commercial strip, ample parking. Lake Mary is booming, this space will not last!